Istanbul is the only city in the world that spans two continents: Europe and Asia. For centuries people dreamt of connecting them. It finally happened in 1973 when Turkey built the first overpass across the Bosphorus Strait. A second bridge was completed in 1988. 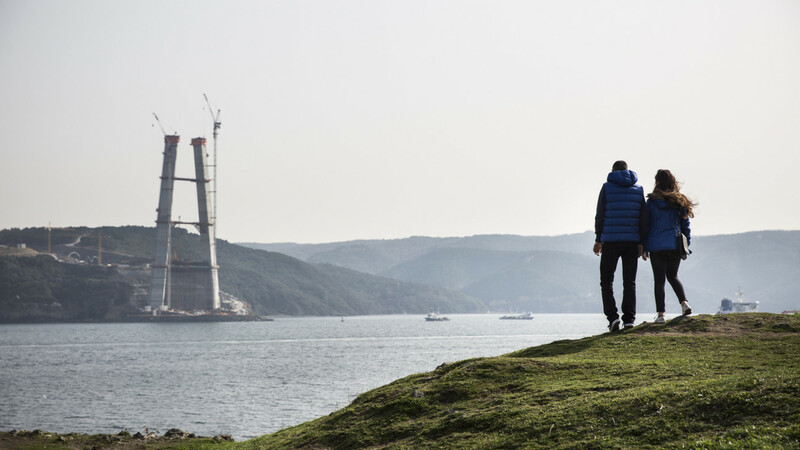 Now a third—a cable suspension bridge—is being built near the Black Sea, outside of the center of the city. But not without controversy. 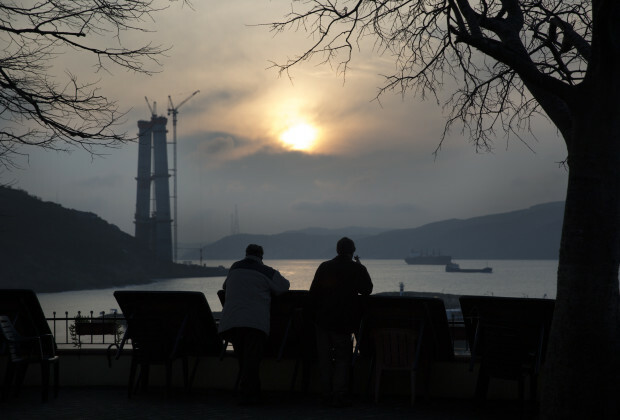 Critics see the bridge as yet another gigantic and ill-conceived project by Prime Minister Recep Tayyip Erdogan. They say the project will bring environmental ruin while benefiting property speculators and government-friendly contractors. Others don’t like that the bridge is being named after Yavuz Sultan Selim, a 16th-century Ottoman ruler reputed to have killed 40,000 Alevis, a minority sect of Islam. The main goal of the project is absorb some of the heavy traffic that goes across the two existing bridges. And many supporters have called the third bridge a “Modern Silk Road,” which will help promote commerce. When completed, the bridge will be 192 feet high. 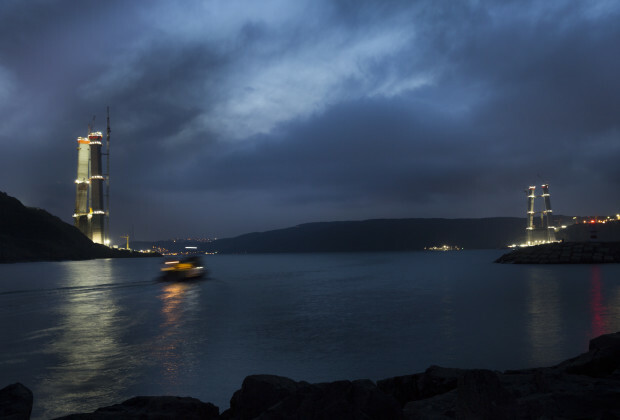 Construction began in May 2013 as part of the 161-mile-long Northern Marmara Highway project, which will connect the city to a brand-new airport. 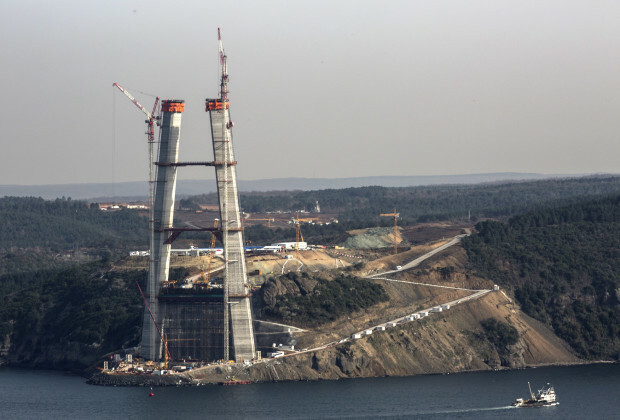 Already it’s clear that the bridge will cast an imposing presence over Istanbul’s northern forests. 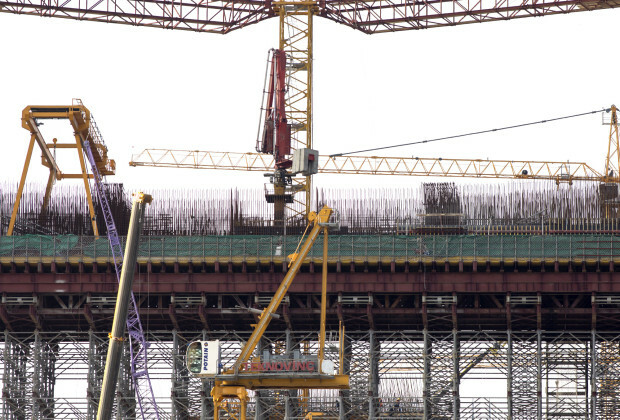 The 4,619-foot-long overpass will be 191 feet wide and feature four lanes of cars and a railway line going in each direction. The towers for the bridge will be more than 1,000 feet high. Building this, of course, is no easy task. Already 3,500 people are working on the overpass on behalf of Turkey’s Içtaş construction and the Astaldi group of Italy. 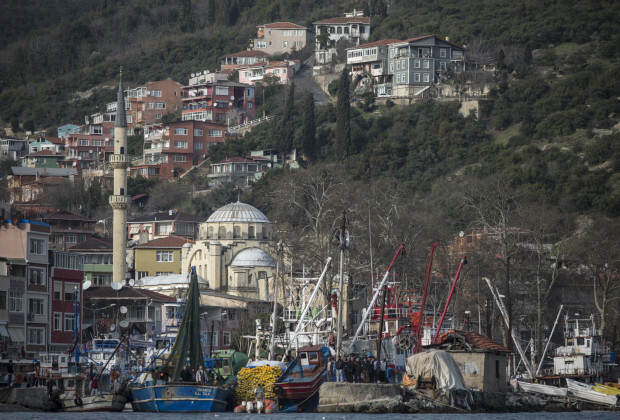 The Rumeli Kavagi fishing port is near the area where the third bridge will soon span the Bosphorus. It’s not cheap either. The bridge’s estimated price tag: between $2.5 and $3.5 billion. At the end of 2015, when its completion is expected, drivers will have to pay a $3 toll to cross. For critics, however, the cost to Istanbul can’t be measured in dollar signs.
. They say the project will bring environmental ruin while benefiting property speculators and government-friendly contractors.